Why your chiropractor is not doing enough to help you long term. Centered Health & Wellness Blog Why your chiropractor is not doing enough to help you long term. Chiropractic care is one of the safest most effective treatments for the spine and nervous system, however just like medical doctors that are long in the tooth, chiropractors can get stuck in their ways and don't look into advancements in our profession. At Centered, that is not the case. I constantly research new treatments that can help my patients improve as fast as possible and for long term benefit. 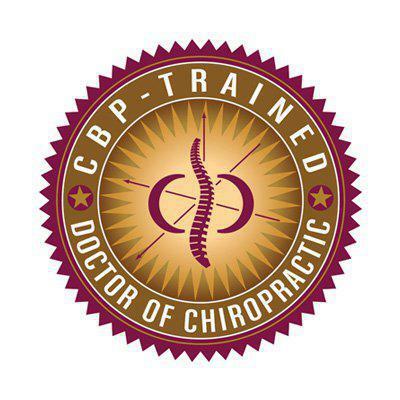 One of the main services we use at our office is Chiropractic Biophysics (CBP). Chiropractic Biopyshyics is the most researched and published chiropractic technique in the world. It leads our profession with consistent research & results that corrects underlying spinal problems & posture with more that just adjustments. Below, I have attached a literature review from the president of CBP, Dr Deed Harrison, discussing the long term benefit from 3 point bending traction called 2-way Cervical Traction to improve Cervical Spondylotic Radiculopathy (neck pain that travels into upper back and arms). We use this techinque to help tons of patients with acute and chronic spine problems. Its about 30 minutes long but its good information that can help you long term. Hope you enjoy and stay tuned to learn about other treatments and modalities we use at Centered to help you feel well and heal well without surgery! !